From the front inside fly leaf: Sir John Norton-Griffiths is one of those giant characters that history has a habit of producing albeit rarely. Like a number of other better known figures such as Cecil Rhodes and Warren Hastings, John Norton Griffiths (the hyphen was added later) first made his name and fortune from the opportunities of imperialism; in this case the minefields of South Africa. Only the most ruthless survived and this man was definitely that. 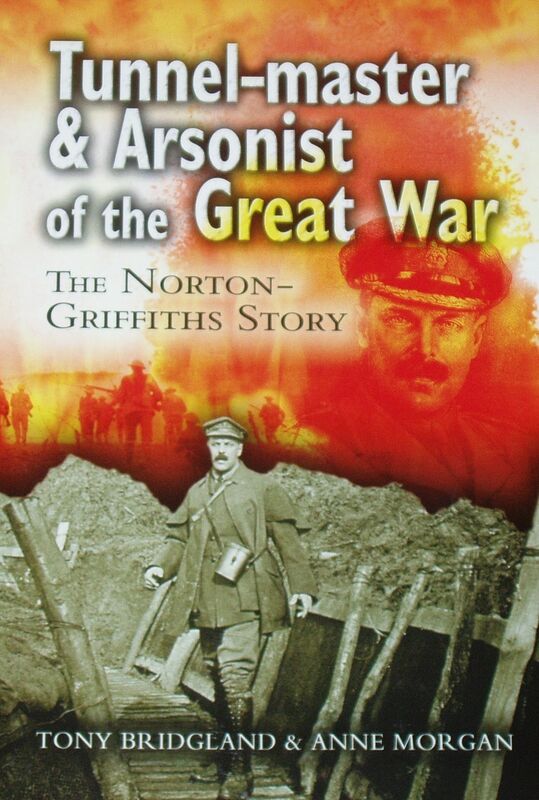 His commercial ventures were interspersed with military escapades so it was no surprise that Norton-Griffiths was quick to answer the call on the outbreak of the Great War. In this book we discover that the 'system' was sufficiently flexible to allow men such as Norton-Griffiths the scope to make real individual contributions. He brought his mining expertise to bear with devastating effect, thanks in large part to his influence and initiative. He was then sent to 'fire' the vital Rumanian oilfields.